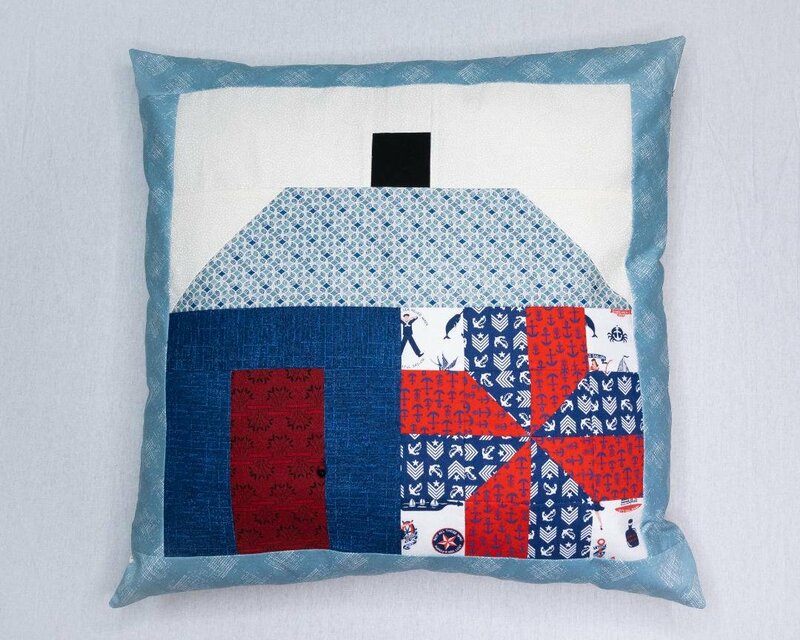 Ships Ahoy Pillow Kit contains all the fabrics to make a 21" x 21" pillow cover. Different novelty fabrics for the windows are included so that you can pick your favorite. Instructions included.